As you can see, some of the nails look like some black got smudged on them. That's because I attempted to do a squishy or smoosh manicure using a stamper and 3 Color Club Halo Hues polishes. 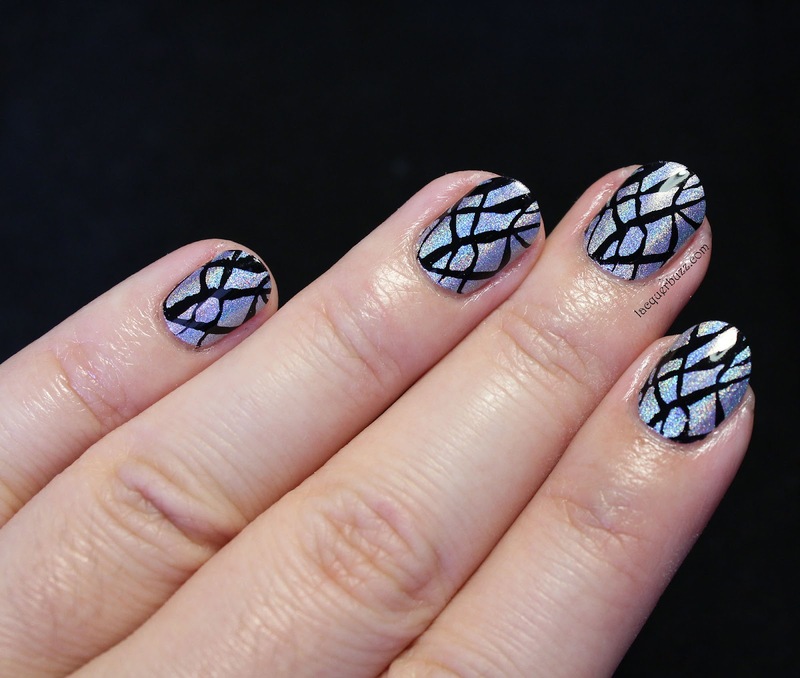 I love this type of nail art and thought it would look great with holos, but the polishes just didn't work for this. Maybe using one holo between other cremes might look good but this sure doesn't. The colors I used are Beyond (black), Over the Moon (blue) and Blue Heaven (light blue). 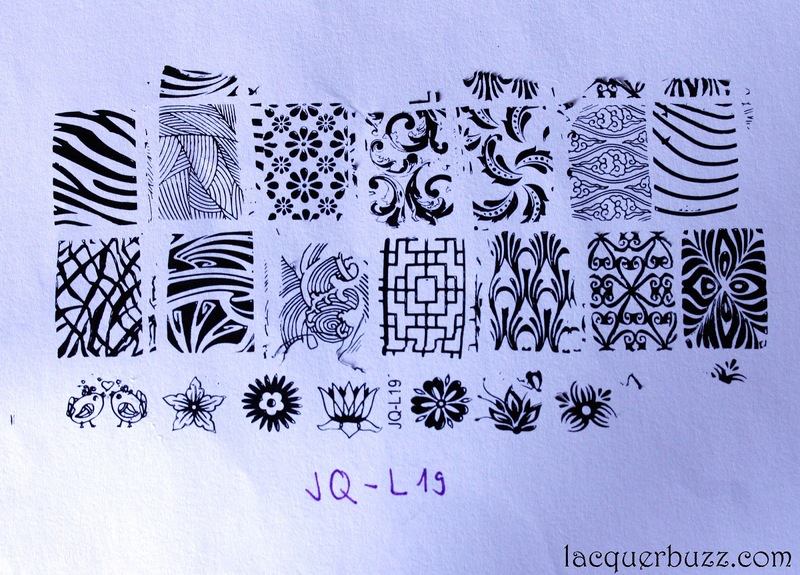 To save the awful mess that came out I stamped some images from plate JQ-L19 from Lady Queen. The plate looks like this. 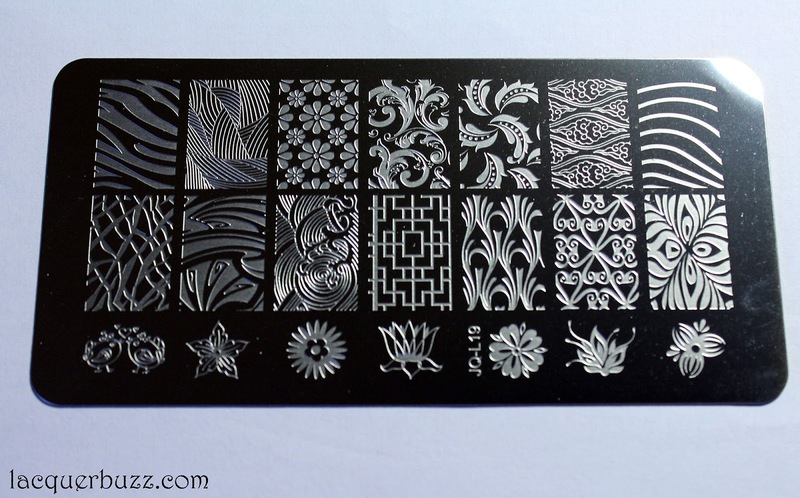 The stamping plate contains 14 full nail images and 7 smaller ones. The only issue I have with this plate is that the full nail images are on the smaller size (1.9 x 1.3 cm). They are ok for me because I have narrow nail beds but if you have wider ones these won't cover your whole nail. Other than that, I really love this plate. I swatched every single image on it and they all work great. 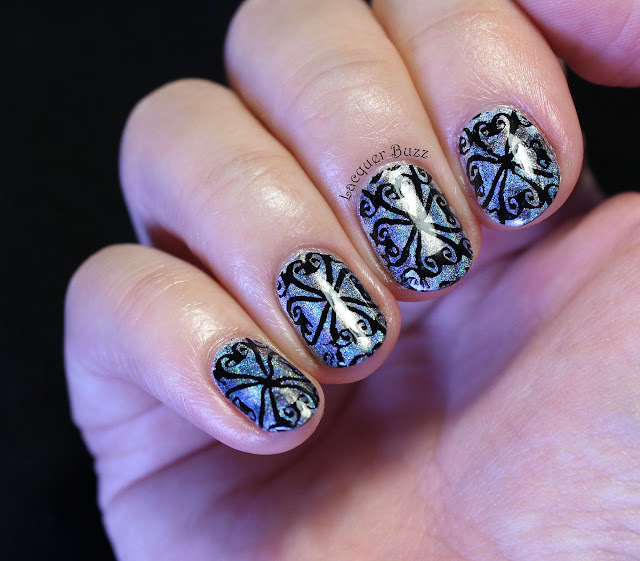 After I saw that the smoosh technique does not work with holos I decided to leave my left hand with just the two coats of Blue Heaven that I had applied and stamped a different image from the same plate. I think this hand looks a lot better even though it's my Cinderella hand. 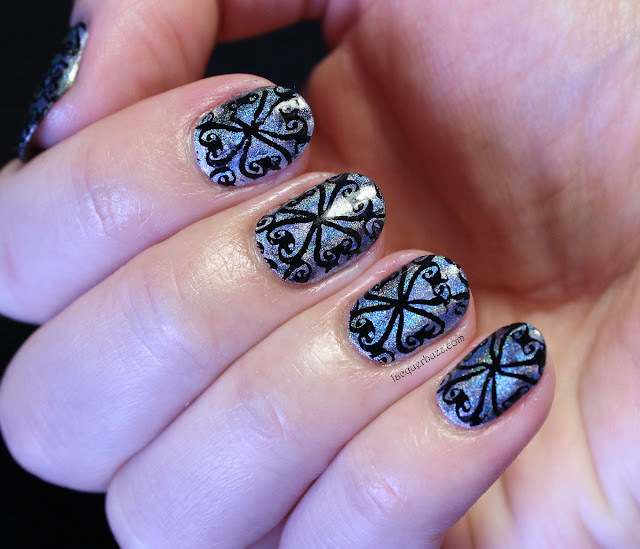 I used Mundo de Unas Black to stamp on both hands. In the end I'm not that disappointed with this manicure because it's holo and, let's face it, you can never go wrong with holo. I just wish I had gone with the combo on my left hand for both my hands. If you are interested in purchasing anything from Lady Queen you can use my code ANCS15 to get 15% off your order. Don't forget to check out the rest of this month's Monday Blues in the links below!